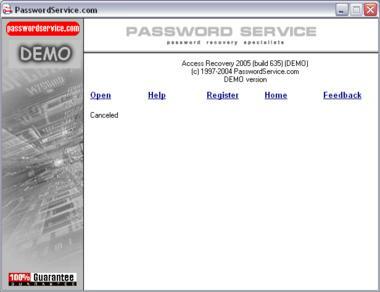 Lost your Access database or user password? Former employees left without unprotecting their documents? Forgot your access password? 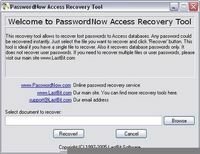 Crack it down using Access Recovery password cracker! 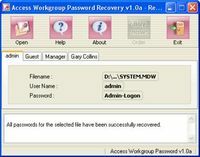 Access Recovery cracks both database and user passwords for MS Access databases (.mdb, /mde, or .mdw files). 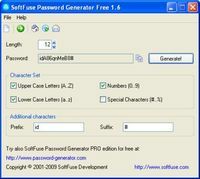 All passwords are recovered instantly. 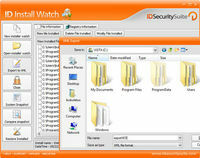 All Access versions are supported.